Packaging producers and retailers will pay more of the cost of recycling under the Government’s resources and waste strategy expected this month. The claim has come in a story in national newspapers based on leaks. The Guardian reported that ministers are considering options to improve recycling, stop abuses in the export of plastic packaging and make companies pay more towards collecting and recycling waste. They could face a sharp increase in contributions from around £73m a year to up to £1bn. Government plans are also likely to catch smaller companies that have not had to contribute before. In 2017 , local authorities spent £700m on recycling and have long complained that they bear an unfair share of the burden. The EU circular economy package requires retailers to cover the net costs of household recycling collections by local authorities, and the legislation is likely to remain in force in the UK even after Brexit. Recycling Association chief executive Simon Ellin said: “We wholly welcome this – bring it on. It is hardly the greatest secret that the Government would use the approach of full-cost responsibility, and most producers are present elsewhere in the EU and are used to it. Phil Conran, chairman of the Advisory Committee on Packaging, said: “This is required by the EU circular economy package which the UK is signed up to and it will not be a surprise. He added that the Government had a “once-in-a-generation opportunity to shake up the way we fund and incentivise recycling in England, and to position the country as a global frontrunner in achieving a circular, sustainable, economy”. 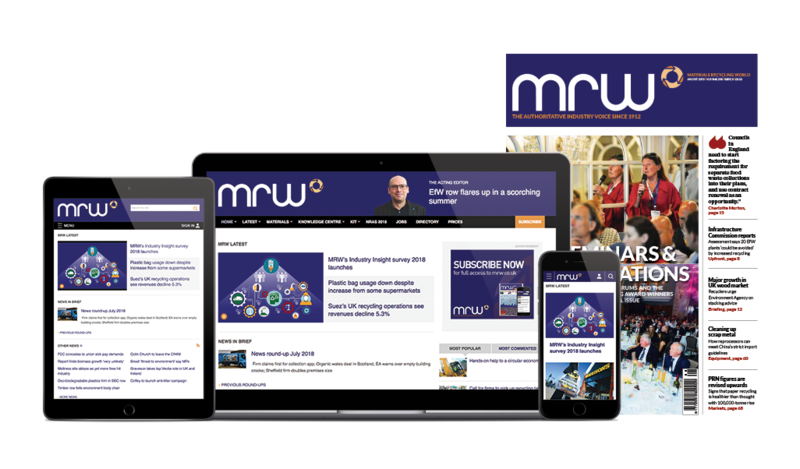 Local Authority Recycling Advisory Committee chief executive Lee Marshall told MRW: “Under the circular economy package, producers should pay the full net cost of collection and that does not happen in the UK now and it needs to happen. “Local authorities say about 90% of the cost of collection and recycling – and a bit more for dealing with residual waste and littering – is £600m-£700m. Defra said it did not comment on leaks but did not specifically deny anything in the story. It said in a statement: “We have made it clear through our 25-Year Environment Plan that we are committed to reforming the current producer responsibility scheme and will be consulting on packing rules later this year. The Government wishes to incentivise producers to take greater responsibility for the environmental impacts of their products. Its proposed reforms will embody principles of extended producer responsibility, including requiring packaging producers to fund the the collection and disposal costs of packaging waste, Defra said. That would be great as long as it does not end up like the landfill tax, disappearing into chancellors coffers and not benefiting recycling.